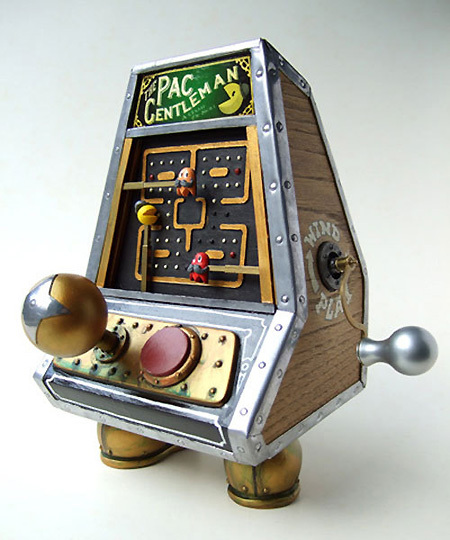 This Pac-Man Pac-Gentleman arcade machine shows what the game might have looked like back in the early 1900’s. Just wind it up, and you’re good to go — for at least one game. That is, if it were actually functional and not a sculpture. For now, we have one more picture here for you to savor. We’ll keep you posted on release and pricing information once it becomes available.